Checking the certificate is done in 2 Minutes. You just need a web-browser installed on any system that can access the vCenter. 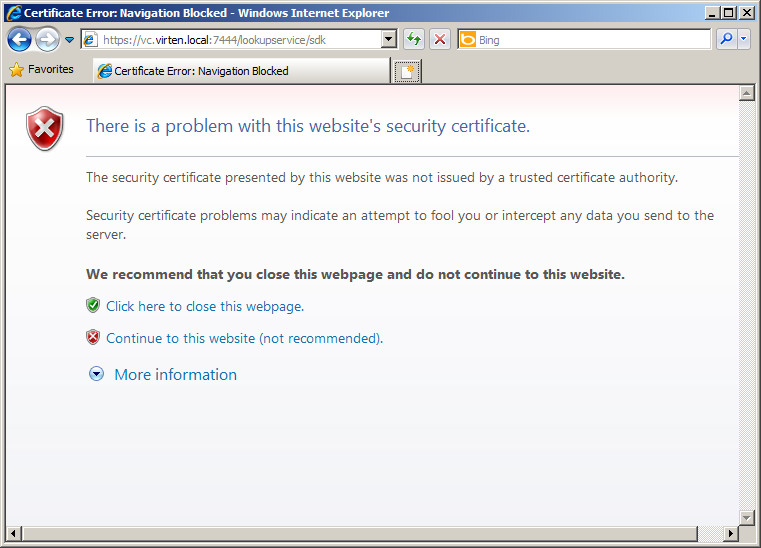 Click "Continue to this website (not recommended)." 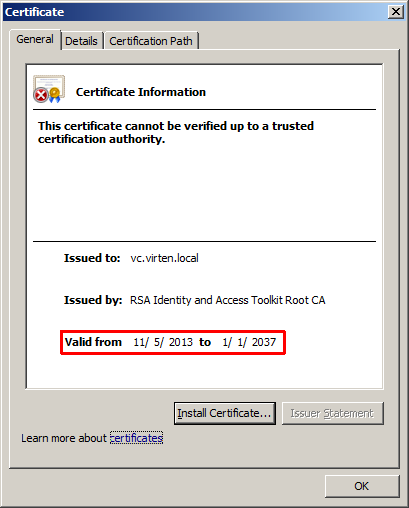 Open the certificate and click "View certificate"
If you certificate is invalid, you have to replace it prior to update to vCenter Server 5.5. 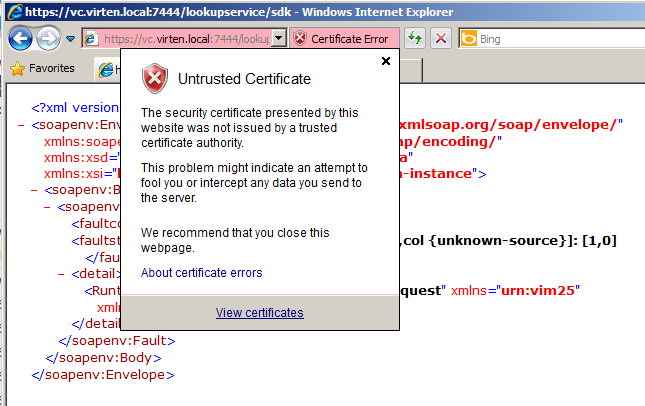 The process of changing the SSO certificate is very well documented at KB2035011.